I highly recommend Sloan Goforth. Great person, really cares for others, wonderful up-bringing in a Christian family, will provide the best service he possibly can. Honest man. In need of a trustworthy, local lawyer? Call W. Sloan Goforth, Attorney at Law. 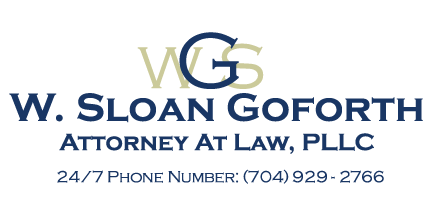 Let W. Sloan Goforth, Attorney at Law protect your legal rights and resolve your case in a timely and beneficial manner. Want to find out what legal options may be available to you? Call (704) 495-3371 or fill out our contact form to schedule a consultation to discuss your case.